Employees at a company in Alberta were moving a large tote of paint around a parking lot when, minutes later, a thousand litres were spilled. Chemicals and fuels are essential tools in manufacturing facilities, factories, warehouses and construction sites. No matter what precautions are taken, spills and leaks of hazardous materials will happen and, depending on the chemical, small spills can cause as much damage as large ones. Many of these substances are toxic or corrosive and can cause severe injuries or death. Volatile substances can cause a fire or explosion or caustic materials can lead to chemical burns that will eat through skin. 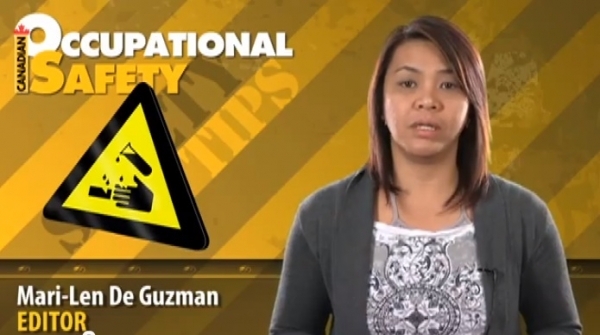 Of course, any liquid chemical spilled on a floor will present a slip and trip hazard. Any company that transports, stores or handles chemicals must be prepared to respond to a spill in a way that ensures materials are properly cleaned up and workers are not injured. Brampton, Ont.-based DSV Solutions manages aspects of the supply chain for a variety of manufacturers across Canada. Rodolfo Chacon, general manager at the company’s warehouse in London, Ont., which handles large quantities of chemicals, mostly acids, oxidizers and flammables, says it has to be prepared to handle different kinds of spills and its spill response plan is a rigorous one. The first part of the plan deals with prevention. A key part is proper warehouse storage. It’s important to segregate materials that, if mixed, could react together and produce harmful vapours, or even fire or explosion, and injure workers. “We have materials segregated by category: acids in one place; caustics in another; bleaches in another. You never have oxidizers and acids together. At one extreme of the warehouse are all my oxidizers and at the other extreme are my acids, so there is no way we are going to have a release of these two products together,” says Chacon. In preparing for a spill, he says, training is the most important element. Workers need to be aware of the kinds of chemicals used at their workplace and well trained in the ones they handle in their specific jobs. Safety data sheets should be easily accessible. Everyone must know what to do in the event of an emergency, who the emergency contacts are and how to create a perimeter around the spill with an absorbent “snake,” which is a long roll filled with absorbent fibre. “You need to train and train again, until the staff has memorized what they need to do. This is a chemical warehouse and we must always be ready for the worst scenario,” Chacon says. Spill stations are a key part of preparation. The stations are equipped with all materials needed to deal with the types of spills that could happen; for example, absorbent snakes and pads, instructions, manuals and required personal protective equipment, such as safety gloves, goggles, face shields and masks. DSV has six or seven chemical spill stations across the warehouse. When a spill occurs inside the warehouse, workers must notify a supervisor, Chacon says. They should immediately start putting the snake down around the spill, taking care not to come in contact with the chemical. The snake acts as an absorbent wall to contain it and prevent it spreading to other materials. An emergency team assesses the situation. They first determine whether they can manage the spill themselves, based on type and size. If their own team cannot handle the spill, the facility must be evacuated and a third-party company certified to clean up and dispose of dangerous materials is called in. “If you’re dealing with an oxidizer, the proper procedure in 99 per cent of cases is just to evacuate. The problem with oxidizers is that they react to everything. If it releases to the floor and there is another reactive factor on the floor, it could create a cloud. They can produce gases that are quite toxic. So, usually we just initiate our evacuation plan,” says Chacon. With general chemical spills, the cleanup starts with putting a commercial absorbent onto the spill. These absorbents, which can be used for most liquid chemical spills, come in different types. The most common one is a general chemical absorbent material that is designed to soak up almost anything. Other absorbents are more specific to the type of product to be absorbed. The absorbent takes time to completely absorb the chemical: one reason it’s important to create the perimeter wall first. With corrosives spills, neutralizing agents are used. Weak acids — acids that don’t ionize fully when dissolved in water, such as acetic acid — should be used to neutralize bases (such as sodium hydroxide and potassium hydroxide). Weak bases should be used to neutralize acids (such as hydrochloric acid, sulphuric acid and nitric acid). While neutralizing acids and bases makes them safer to handle, it is important to work slowly, says Norman Nibber, professor of engineering safety and risk management, David Lynch School of Engineering at the University of Alberta in Edmonton. “Neutralization liberates a lot of energy, especially with the acids. So you need to be very careful. It can cause an explosion,” he says. Neutralizing an acid or base may require a lot of neutralizing chemical. A colour indicator on some products will show when the spill is neutral. Otherwise, you must check the pH to see that the chemical has been properly neutralized. Different areas of a facility should have an emergency spills response plan specific to that area: one plan around the acid tanks; a different one in the area around alkalines. After the spill is cleaned up, the absorbent should be disposed of properly, Chacon adds. DSV puts contaminated absorbent into special containers and every month, a company responsible for the disposal of those chemicals takes away the waste. Every spill incident should also be documented. While best practices regarding chemical spills are largely driven by safety concerns, they also aim to minimize exposure to the environment. For example, if a spill occurs off site, Chacon says, Environment Canada is notified. It will investigate what happened and how it happened. It may look at worker training and emergency plans. Environmental protection is a particular concern for companies that handle hydrocarbons, Nibber says. In the case of large spills of hydrocarbons at a facility, the oils must be controlled to prevent spreading and igniting. Floors should be graded and drained away from equipment and other surfaces. 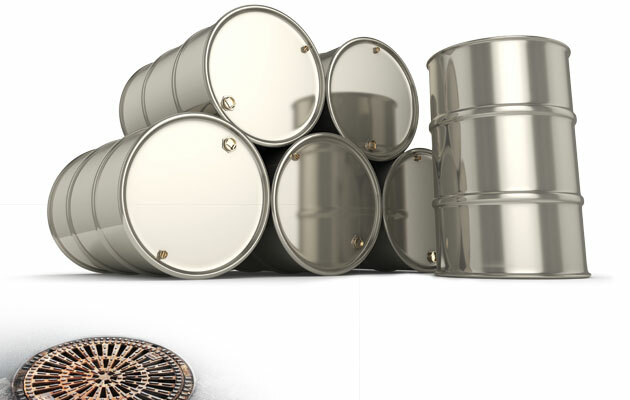 Spilled oils should be collected in what is called a closed hydrocarbon drain system. This helps contain and recover the fluids and prevents them mixing with (if a fire occurs) fire water and other liquids, which can spread and contaminate surrounding land. The drains around equipment should be linked to the closed hydrocarbon drain system. “That’s one of the good things a lot of the organized facilities do to minimize the level of contamination,” says Nibber. When oil leaks are small, the best thing to do is cover the storm-water drain and allow the oils to go into the closed hydrocarbon drain system, he says. Rob Pennington, acting platoon chief at Toronto Fire Services, says most companies that deal with hazardous chemicals are very responsible. The Fire Services itself does not get many calls to respond to chemical spills. Most hazardous material calls are natural gas leaks and fuel leaks from vehicles. He says if company employees are not trained to handle a particular chemical, they should just call 911 and evacuate the facility immediately. Some organizations, he adds, conduct simulated spills training in co-operation with the Fire Services. table-top scenarios. 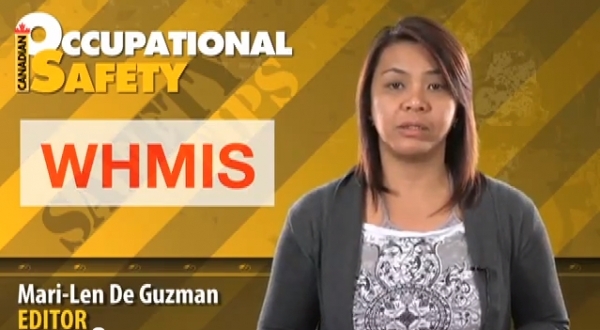 It is also essential to conduct hands-on training so they can see how spills occur. “If they are using a forklift, for example, and they have their forks at the wrong angle or the wrong height, they could puncture a drum or a tote and cause a leak. With many products, you can temporarily patch the drum or tote that’s leaking until you can transfer it into a different container,” he says. The paint spill in the Alberta parking lot was initially contained by putting several bags of a general absorbent down on top of the storm drain in the middle of the parking lot. Another couple bags were then placed around the drain. Cleaning up was made easier because the paint was water-soluble. Using the pressure washer unit on a vacuum truck, they pressure-washed everything down and gathered all the paint up as they were washing.